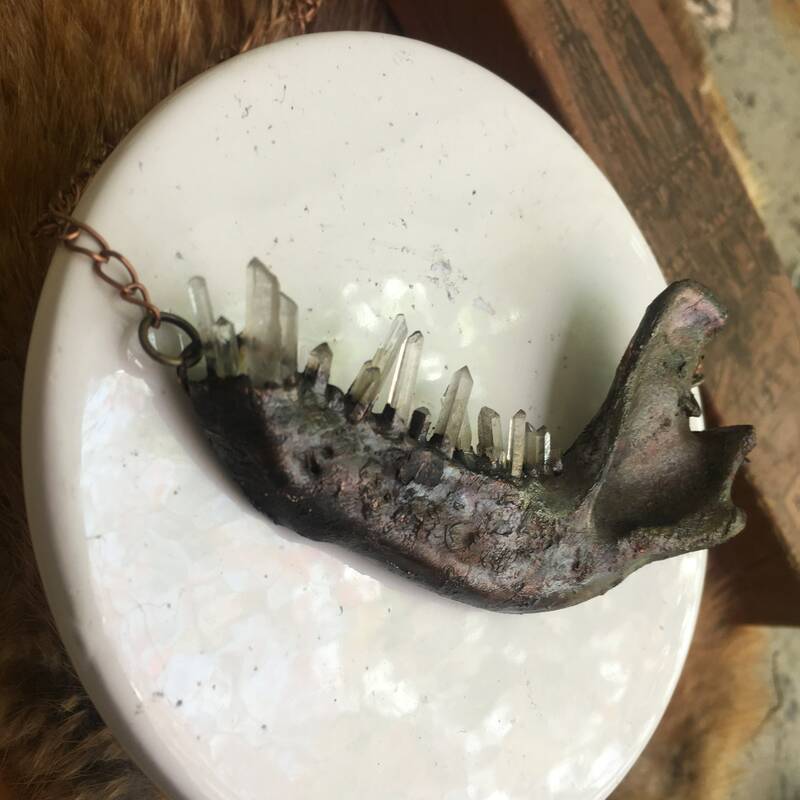 A Real raccoon jaw electroformed in copper with quartz crystal teeth on a short chain. 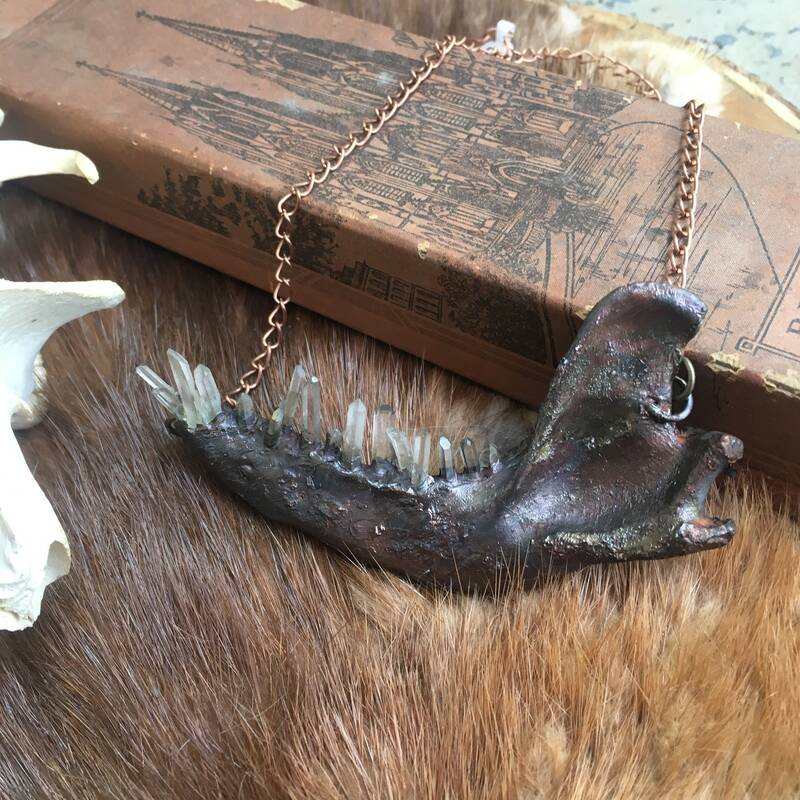 This is a real found jaw bone, not a casting. 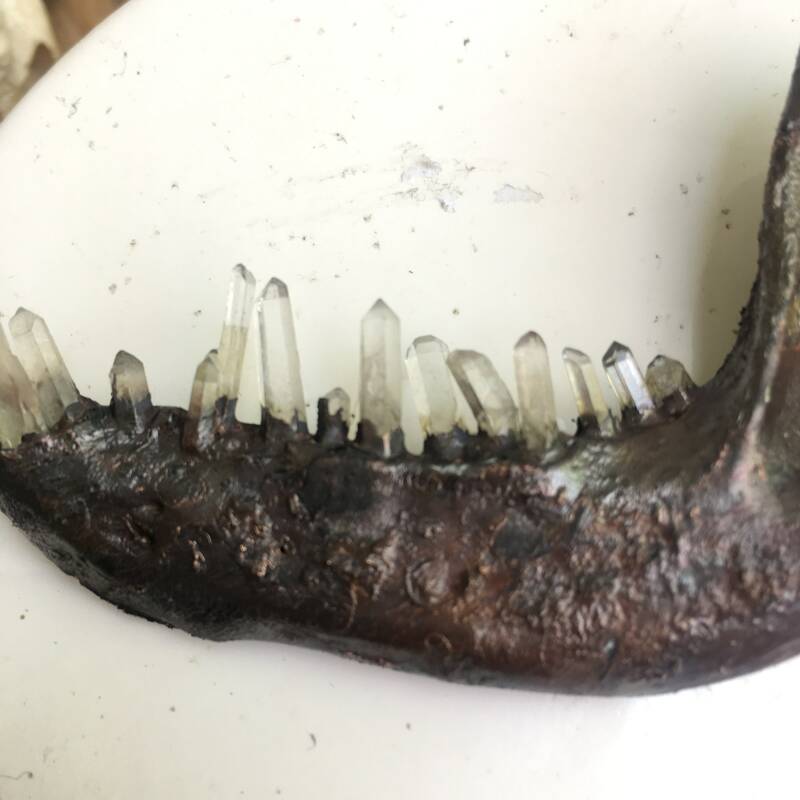 the teeth have been replaced with tiny natural quartz crystals. The piece was first electroformed in copper, then given a patina, then re polished for surface texture. 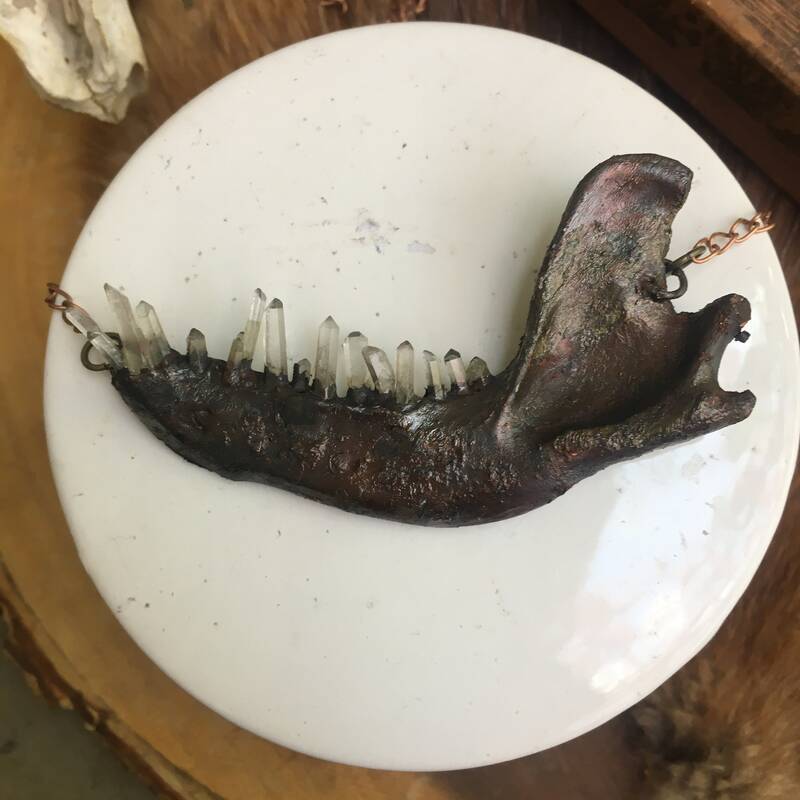 The pendant itself measures approximately 3.5 inches in total length and is on a 16 inch copper chain with lobster clasp closure.